This daily magazine style blog has enjoyed posting items under our occasional column: Space Cadets. In a recent posting we discussed how the International Space Station solved how to improve the coffee on board by solving how to brew espresso in zero gravity. Lately, the engineers and scientists associated with the ISS have come up with another solution adding to the comfort of our space pioneers in orbit: baking fresh sourdough bread. 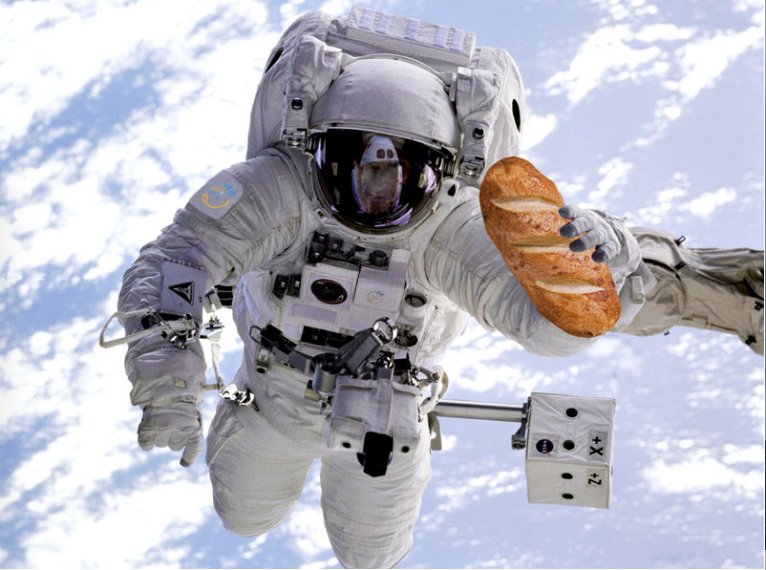 GUEST BLOG / Space.com--A team of engineers and scientists may have just found a way for astronauts to enjoy fresh bread in space. Currently, astronauts on the International Space Station (ISS) rely on tortillas as their "bread" because they have a long "shelf life" and don't produce crumbs. But now, a team of engineers and scientists in Germany is developing an oven that works in microgravity, as well as space-grade dough that's suitable for baking bread in orbit, so that astronauts may one day be able to bake and enjoy fresh bread on the job. According to Sebastian Marcu, founder and CEO of Bake In Space, the idea came from his friend, spacecraft engineer Neil Jaschinski, who had been struggling to find bread that he enjoyed in the Netherlands, where he works. "Bread is a big topic in Germany," Marcu told Space.com. "We have 3,200 variations of bread, with a bakery pretty much on every street corner. In the Netherlands, most Germans would complain about the quality of bread." 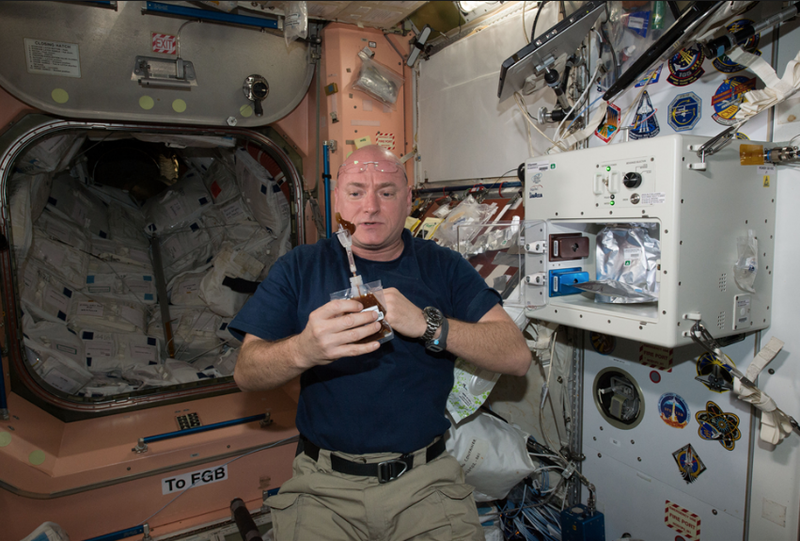 Espresso brewing in space: See PillartoPost.org for April 18, 2015. Pictured: Astronaut Scott Kelly tinkers with a batch strong brew made in the new espresso machine on the wall, right.